I joined the team at Perfect Pets in February of 2013. Animals are an important part of my life and have always been part of my family. There has never been a time when I have not been caring for a pet, and adulthood is, thankfully, showing no deviance from this norm. As both a pet owner and a caregiver, it gives me such joy being able to provide our community’s pets with the extra love and attention they so deserve. 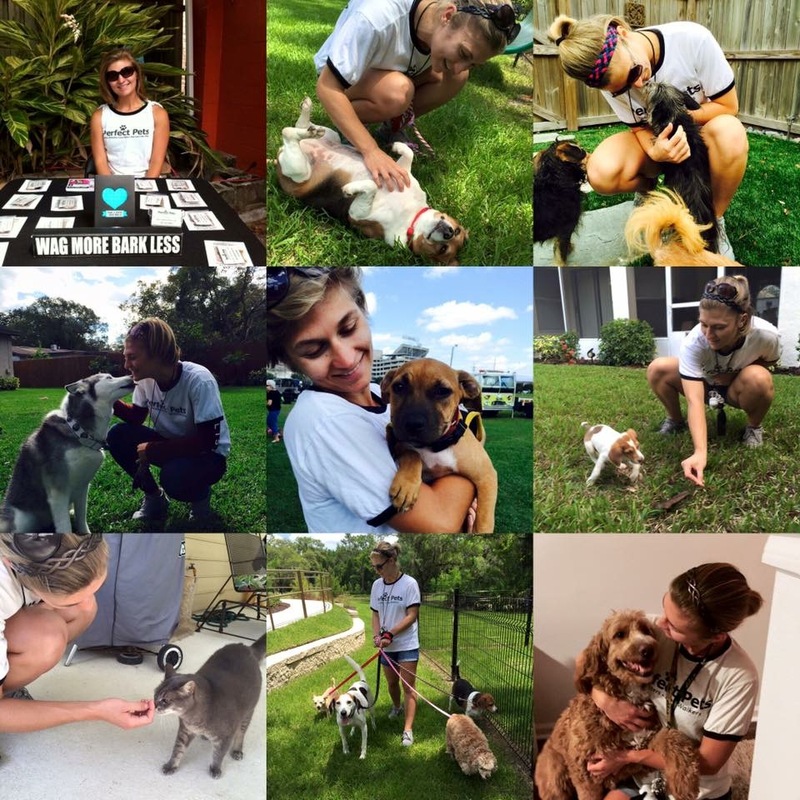 It is so rewarding to see our pack members happy, healthy and thriving from our care routines, which are tailored to fit the needs of each animal and their own unique personality. I consider all pets under my care as an extension of my own fur family, and it is so humbling to know that I have the trust of both Perfect Pets and our clients to keep their pets safe, happy and well looked after. While having the opportunity to work with animals all day is an obvious bonus, there are so many other reasons I enjoy being a team member at Perfect Pets. Shelley and Greg are fantastic bosses, who are truly interested in your academic and vocational growth, and work with you in making sure your work-life schedule is well balanced. As an active individual, I crave the ability to be on my feet and to be in the elements, and a job such as this truly delivers in that aspect. Another reason why I enjoy my employment with Perfect Pets is the constant element of change. While our routine with each animal is always structured to their individual needs, our day with them is not necessarily going to be so standard; whether it be the weather, or even a last minute change in schedule, I enjoy the challenges and rewards that my job entails. With the nature of the job that is pet sitting combined with two dedicated bosses, I have had the ability to hone-in and improve on both individual skills, such as my self-confidence and the ability to work independently, and my skills as a pet care professional, allowing me to gain the title and responsibilities of Lead Care Specialist. As team leader, it is my responsibility to continue focusing on our company philosophy, and to help spark the want to train, grow, learn, develop, and contribute to the team at Perfect Pets- a task I do not take lightly. Working with Perfect Pets has been a wonderful opportunity, and I take pride in the fact that I am with a small business focused on caring for the community we reside in. Whether we are volunteering at a local shelter or participating in various pet events throughout the year, we are dedicated to giving back to the community that supports us so much. I recently graduated from the University of South Florida with my Bachelor’s degree in Health Science and a minor in Pre-Nursing. I am continuing my education in nursing, aiming to become an RN specializing in death-and- dying and end of life care. I am an active individual, and prefer Abby Weeks, Lead Care Specialist & Team Trainer my activities to be outdoors: nature walks, kayaking, river floating, beach going, etc. I love visiting Disney World on my time off, and would like to travel the world in my older adult years.